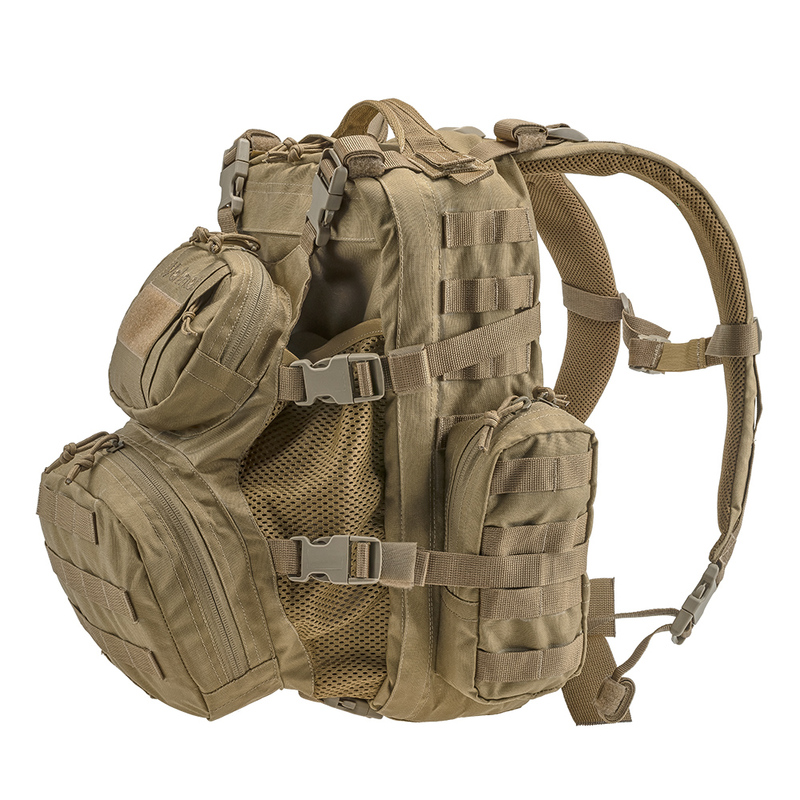 Assault Tactical Backpack HCP-L Coyote - a medium-size backpack from the Ukrainian brand "VELMET", designed for conducting assault actions, patrolling and other short-term actions. Also it is useful for civilians when traveling and everyday use. 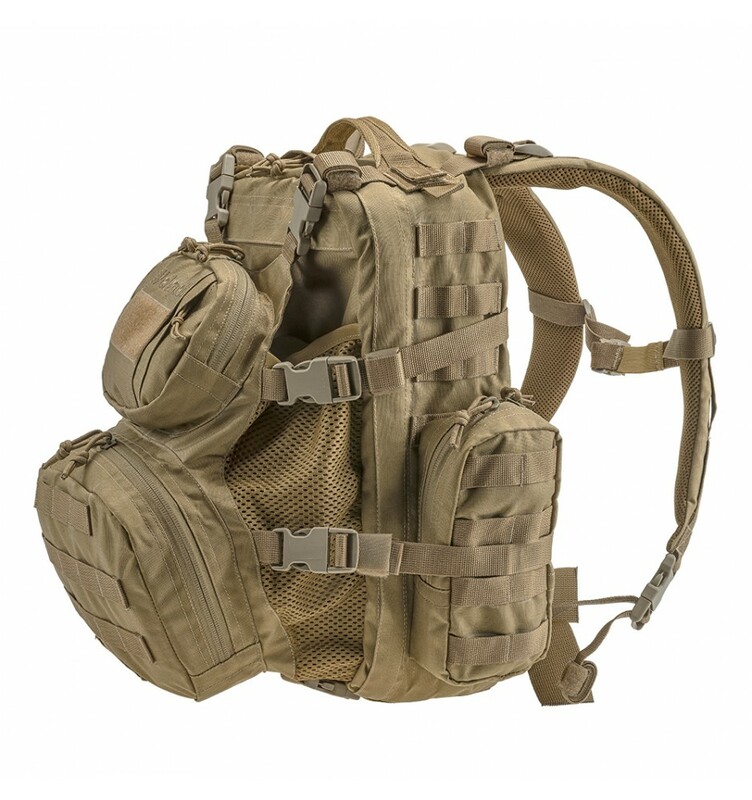 Anatomical type shoulder straps in combination with back’s design provide weight distribution and comfort. 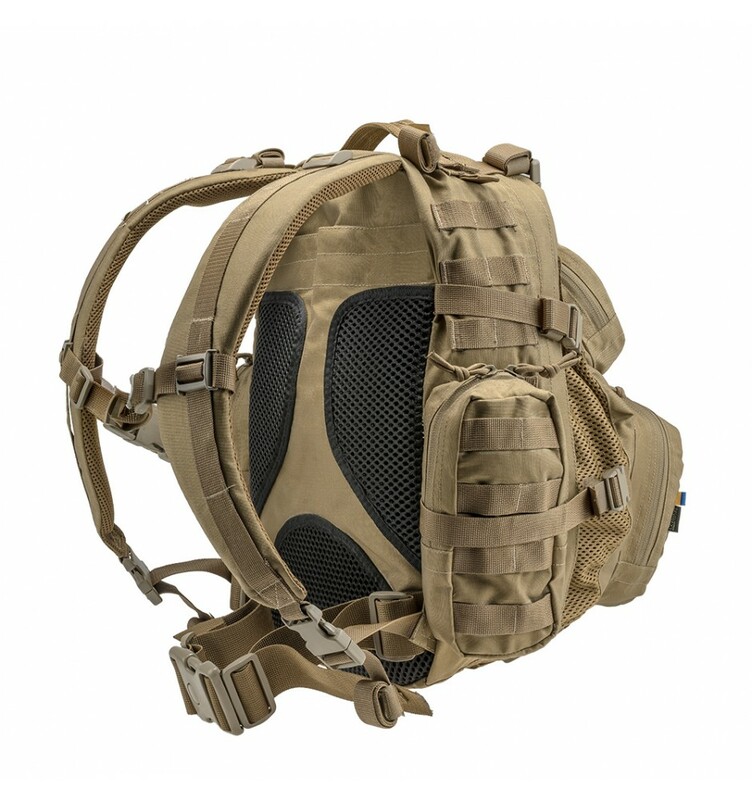 The outer pocket consists of a flap and a mesh panels, that is a good constructive solution for placing different things or a ballistic helmet. Removable side pockets and the MOLLE/PALS system make it possible to place them in different parts of the backpack. 2 holes for hydrator pipeline, antenna, etc.